If early signs are any indication, Koreans are eager to stylishly go green at the wheel of a Chevrolet Bolt. After being announced for South Korea in October, the new Chevy Bolt was put up for order in Korea on March 17th with an initial allotment of 400 units. According to Automotive News, that first batch sold out in under two hours’ time, and more than 2,000 orders for the Bolt had already been placed by the end of the first day. 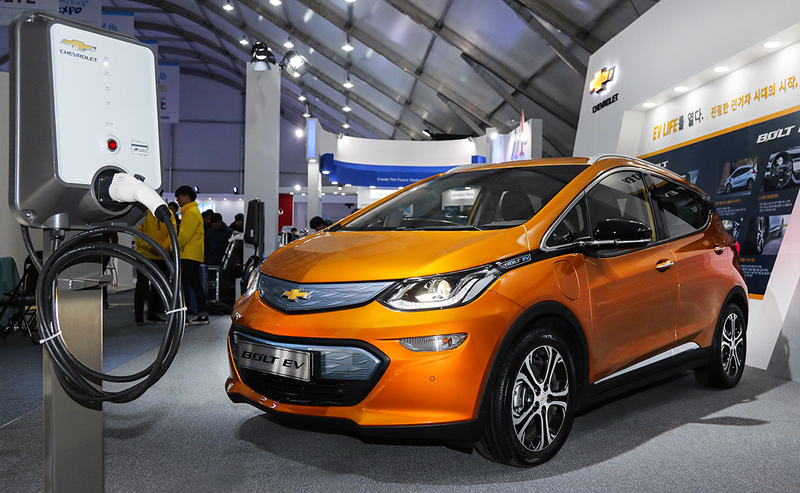 The Bolt EV joins the recently-launched Chevrolet Volt in GM Korea’s efforts to appeal to a public increasingly more interested in green vehicles. Mike Lelli, the Bolt’s chief engineer, told Auto News that Korea’s obsession with cutting-edge technology puts plug-in hybrids and EVs at the forefront of many a wish list. The Bolt EV is certified as providing a 383-kilometer (238-mile) electric range—good enough for a drive from Seoul to Busan on a single charge, and meaning that you can avoid having to deal with zombies on the KTX. According to Auto News, however, a team of EV enthusiasts made a 292-drive on a single charge. 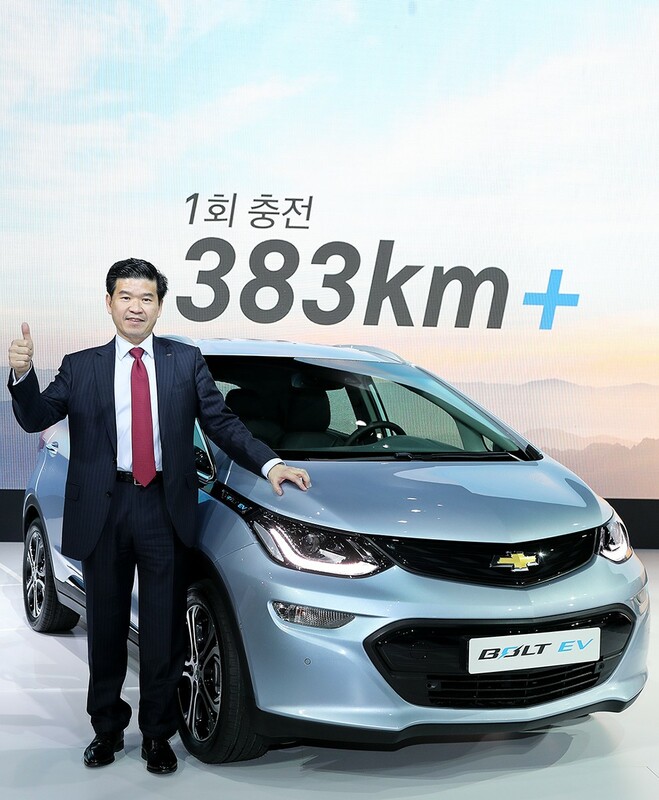 The Chevy Bolt retails for 47.79 KRW ($42,987 USD), but available government subsidies drop the price to just below 30 million KRW ($26,985 USD).